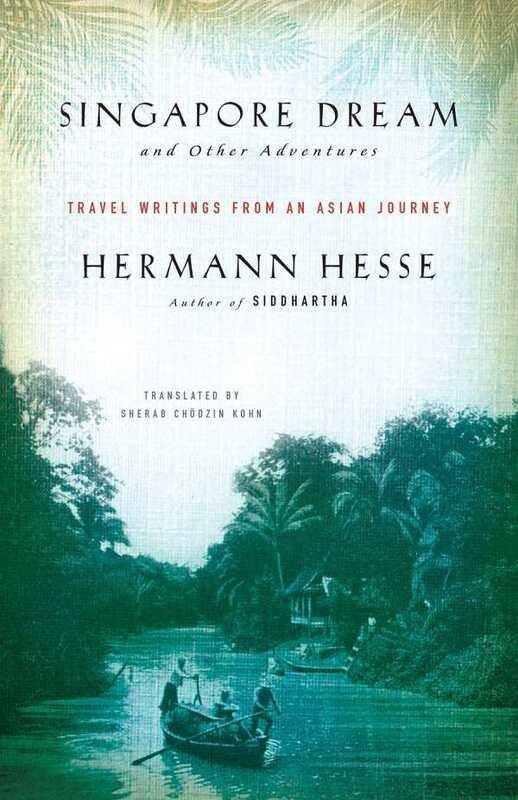 Hermann Hesse’s Singapore Dream and Other Adventures is a time capsule of Southeast Asia in the early twentieth century, as well as an intimate diary in which can be found the creative seeds that would germinate in Hesse’s later fiction, including his classic novel Siddhartha. Most of all, it’s an engrossing gem of a travelogue, now translated into English for the first time by Sherab Chödzin Kohn. Comprised mainly of sketches of the young Hesse’s observations as he ventured through Ceylon, Malaysia, Singapore, and Palembang in 1911, Singapore Dream is a vivid journey into a world that combines the familiar and the alien. Whether describing the inhumanly hot conditions onboard an ocean steamer, regarding the multiethnic populations mixing it up on Singapore’s boulevards, or marveling at cities built on stilts in the swamplands of Sumatra, Hesse’s writing is never less than pellucid. Every sketch is soaked in detail, and if Hesse’s musings can sometimes seem dated to modern eyes (those of Malaysian descent might not be too pleased with his take on some of the locals he meets), they nonetheless remain fascinating. The collection includes a dozen ruminative poems that encapsulate some of Hesse’s travels, as well as the short story “Robert Aghion,” a melancholic tale in which a British missionary similarly finds himself face-to-face with an uncomprehending local culture. Diverting as these pieces are, the primary reason to read Singapore Dream is Hesse’s unvarnished diaries. As with many travel journals, all paths ultimately lead to the heart of the traveler himself. Lamenting the encroachment of Western colonialism and dissatisfied with the Buddhist idolatry of the natives, Hesse seeks authenticity in himself and others—sentiments that would come to dominate his later fiction. In Singapore Dream’s most transcendent passages, he finds such moments during communions with nature. Handsomely presented and intelligently translated, Singapore Dream and Other Adventures is essential reading for connoisseurs of travel writing, as well as admirers of Hermann Hesse’s work.